First of all... I'm back! I neglected this blog over the holidays due to work and personal responsibilities, but I plan to get back in the swing of things and post some new materials over the next few weeks. Now that I've got that out of the way... A big recent booze-related news story is the pending purchase of iconic American distillers Beam Inc. by Japan's Suntory. Beam is famous for it's boring yet reliable Jim Beam white label bourbon, as well as the underrated Jim Beam Black, the excellent Maker's Mark and Knob Creek, and the unfiltered 120+ proof powerhouse Booker's. 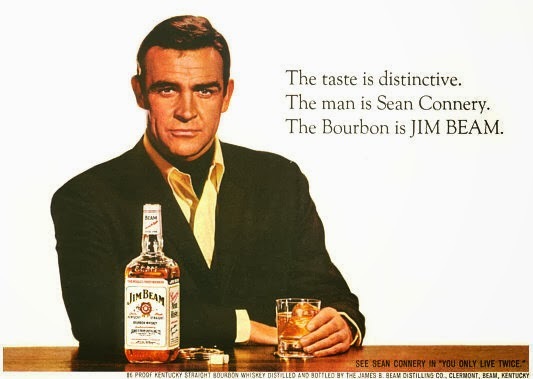 Jim Beam was also shilled by none other than Sean Connery back in his 007 days. 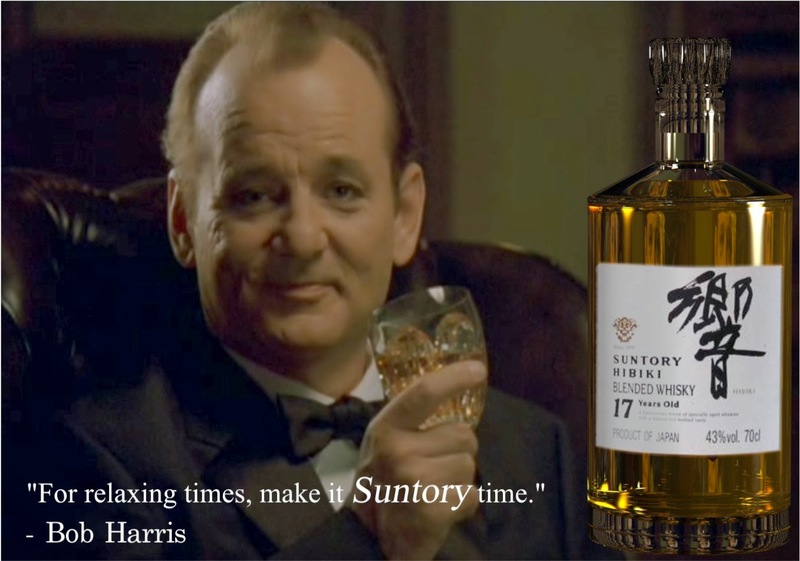 Suntory is a well-established Japanese beverage company that offers a variety of products, and is especially known for their whiskies, which are apparently rather Scotch-like. They also feature in the wonderful film Lost in Translation. Alas, I don't recall ever having any of their offerings. I'm not going to get into the controversies of the purchase. Instead, I want to use this news as a springboard to discuss my favorite bargain bourbon: Evan Williams Black Label.